In the wake of the recent tornadoes that left a devastating path of destruction across several Midwest states, three Farm Credit entities are donating $45,000 to the American Red Cross to assist with their disaster relief. In the wake of the recent tornadoes that left a devastating path of destruction across several Midwest states, three Farm Credit entities are donating $45,000 to the American Red Cross to assist with their disaster relief. 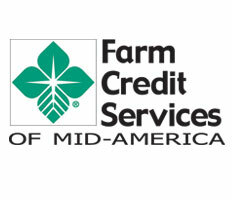 Farm Credit Services of Mid-America, CoBank and AgriBank are providing funds to support relief efforts in Indiana, Ohio, Kentucky and Tennessee. Several employees are also volunteering their time and talent to assist with the cleanup and rebuilding efforts. Those wishing to donate to the American Red Cross Disaster efforts can do so by visiting https://american.redcross.org/site/Donation. AgriBank, FCB is one of the largest banks within the national Farm Credit System, with over $73 billion in total assets. As agriculture’s borrower-owned financial leader, AgriBank complements the market-facing focus of affiliated Associations to serve rural America in a District that stretches from Ohio to Wyoming and from Minnesota to Arkansas, representing nearly 40% of farmland and over 54% of cropland in the United States. The affiliated Associations and AgriBank are collaborating in successfully shaping the future of agriculture. CoBank is a cooperative bank serving vital industries across rural America. The bank provides loans, leases, export financing and other financial services to agribusinesses and rural power, water and communications providers in all 50 states. The bank also provides wholesale loans and other financial services to affiliated Farm Credit associations serving more than 70,000 farmers, ranchers and other rural borrowers in 23 states around the country. CoBank is a member of the Farm Credit System, a nationwide network of banks and retail lending associations chartered to support the borrowing needs of U.S. agriculture and the nation’s rural economy. Headquartered outside Denver, Colorado, CoBank serves customers from regional banking centers across the U.S. and also maintains an international representative office in Singapore. For more information about CoBank, visit the bank’s web site at http://www.cobank.com.